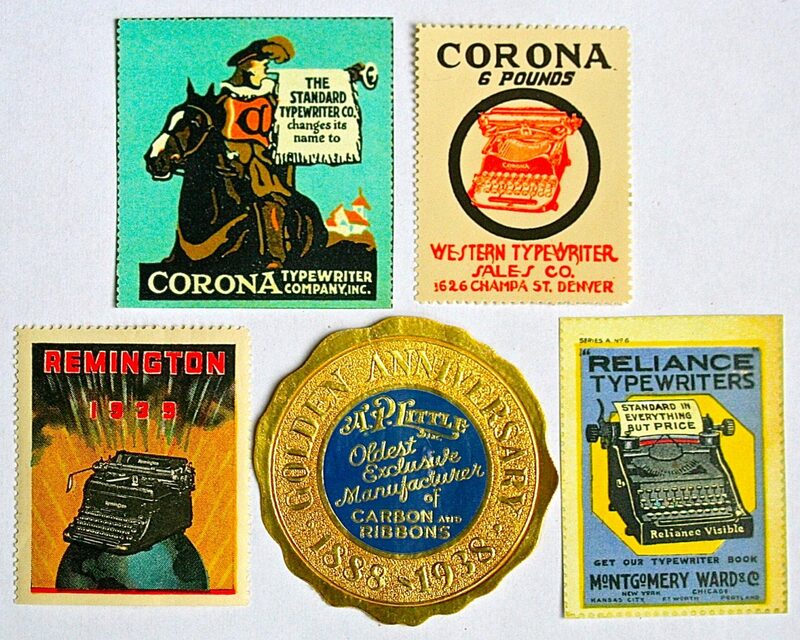 Poster stamps are an interesting category, they are called “vignettes” in Europe. They were produced mainly between 1895 and 1940 in Europe. Germany was far ahead of us in printing machinery and techniques and they led the way in producing the best poster stamps. Many of the most important and talented graphic artists of that era took part in their design. The stamps were used on billheads and envelopes mostly for advertising purposes as they added a splash of color thus, attracting attention. They were appreciated for their artistic merit and became collectible items. I bought these for $7. to $10. each but some are much more expensive. Dr. Arthur H. Groten of Fishkill, NY was nice enough to educate me on Poster Stamps.